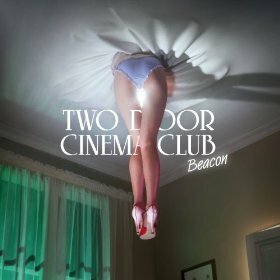 Os Two Door Cinema Club apresentaram o seu novo vídeo, realizado por Sam Pilling, para o tema "Handshake", do álbum "Beacon" que foi editado no verão de 2012. 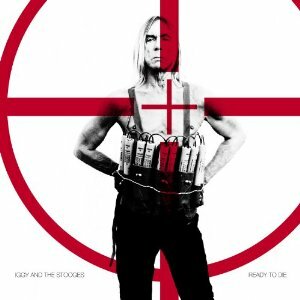 Como Iggy Pop e os Stooges prepararam o novo álbum, "Ready to Die", que estará amanhã à venda. Savages, a banda formada por Jehnny Beth (voz), Ayse Hassan (baixo), Gemma Thompson (guitarra) e Fay Milton (bateria), disponibilizaram online, para audição, o seu álbum de estreia, "Silence Yourself". O disco estará disponível, para venda, a partir de 6 de Maio. Depois de dez anos sem um álbum de originais, com apenas, em 2009, a banda sonora para "Two Sunsets", os The Pastels terão um novo álbum disponível ao público a 27 de maio. 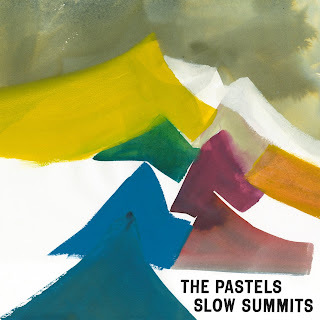 Desse disco, "Slow Summits" (capa na foto), já há um vídeo do segundo tema,"Check My Heart", do alinhamento dessa obra. O vídeo, retratando um dia de sábado em Glasgow, de onde a banda é originária, foi realizado por Blair Young e filmado inteiramente em 16 mm, . Entre os muitos convidados neste disco, destaca-se a presença de outro homem de Glasgow, Craig Amstrong, no arranjo de cordas de um dos temas do disco. 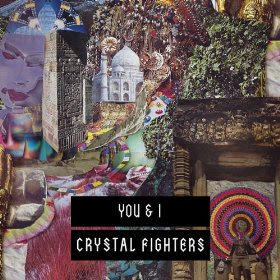 Depois de terem divulgado um tema do novo disco, "Wave", os Crystal Fighters apresentaram agora o primeiro single, "You and I". O seu segundo álbum, "Cave Rave", estará nas lojas a 27 de maio. O vídeo, de "You & I", foi realizado por Elliott Sellers. 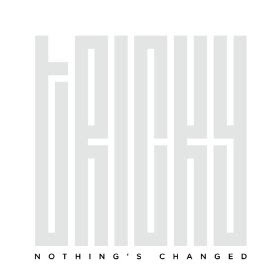 "Does it" é o novo single de Tricky, retirado de do álbum "Nothing´s Changed" editado no passado dia 15. 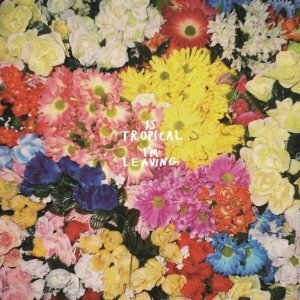 Os Is TROPICAL publicaram o primeiro single do seu álbum de estreia, "I´m Leaving". O vídeo foi realizado por Megaforce. O álbum com este tema, "Dancing Anymore", será publicado a 20 de maio. Avisamos que o vídeo tem imagens virtuais com nudez e simulando actos sexuais. 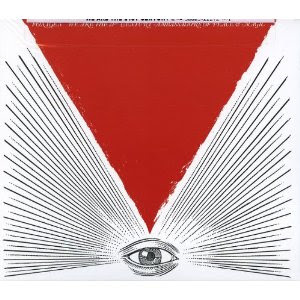 Os Foxygen, na sua passagem por Paris, gravaram para La Blogothèque um vídeo com dois temas "In The Darkness" e "No Destruction". La Blogothèque, mais uma vez, a fazer o seu serviço público, mesmo que indirectamente, mostrando mais uma banda que sobrevive ao grande teste de actuar ao vivo, pelas ruas de uma cidade, sem redes, filtros, amplificadores, efeitos ou softwares de afinação. "In The Darkness" e "No Destruction" são os dois primeiros temas do álbum "We Are The 21st Century Ambassadors of Peace & Magic" (capa na foto). 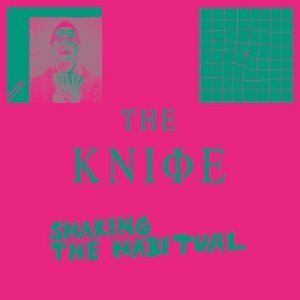 "A Cherry On Top", o terceiro tema do novo duplo cd (três discos de 12" na edição em vinil) dos The Knife, "Shaking The Habitual" (capa na foto), tem agora um vídeo da responsabilidade de Martin Falck. 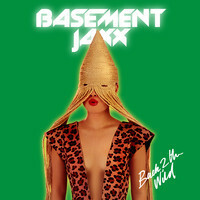 Os diplomados do ritmo, conhecidos como Basement Jaxx, têm um novo single, "Back 2 The Wild". Supreendeu-nos o seu som que parece uns Shamen com a Santigold ao microfone e Dee Lite nos pratos e misturas. O vídeo faz a coisa ainda mais agradável, com um trabalho realizado por Mat Maitland. Depois de "This Life", que divulgámos aqui a 8 de fevereiro, Josef Salvat apresenta "Hustler", escrito e interpretado por ele. 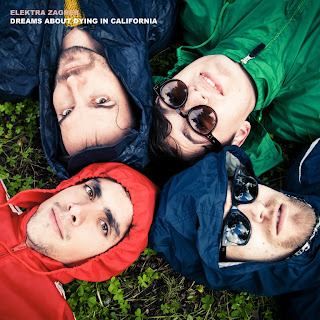 O quarteto Elektra Zagreb apresenta o seu vídeo para o tema "Kesey Palms", que fará parte do seu álbum "Dreams About Dying in California", que sucede a única edição da banda até à data , o EP Giving Birth.The Young Whales. A festa de apresentação do disco acontecerá a 7 de Maio, no Musibox. Os Elektra Zagreb iniciaram a sua actividade em 2008, na cidade que dá nome ao seu projecto, e são constituídos por Andrei Davidoff (voz), Luís Vieira (teclas e guitarra ), Ricardo Andrade (baixo), João Cardoso (bateria). O muito bem conseguido vídeo foi realizado por António Medeiros, Miguel Cavaleiro e Sara Pinheiro e produzido por Andriy Zozulya. Este mês o Posso Ouvir Um Disco? apresenta ao mundo, como representante de Portugal na Music Alliance Pact (MAP), o projecto de Quico Serrano e dos irmãos Praça, os Plaza. O tema seleccionado, que agora chega a todos os cantos do planeta através do MAP, é "High On Stereo", a fascinante canção pop desta banda que começou, em 2012, a abrir caminho para o novo álbum dos Plaza, que chegará neste ano de 2013. Para acompanhar a energia de "High On Stereo", João Rei Lima realizou o vídeo que podem ver abaixo. Clique no ícone de "play" para ouvir as músicas individualmente, clique com o botão direito para fazer o download do mp3 ou descarregue todos os temas num só ficheiro aqui. ARGENTINA: Zonaindie Fotos Del Otoño - Diario De Hoy For those of you living in the southern hemisphere like us, autumn is already here. So we figured it's the perfect season for playing Superposición, the third album by Fotos Del Otoño, a band with a pop acoustic vibe and introspective lyrics. Diario de Hoy is our selected track from this record, but you can download the whole thing from Bandcamp. AUSTRALIA: Who The Bloody Hell Are They? Willow Beats - Alchemy Electronic music in Australia has never burned brighter. Melbourne's Willow Beats are Narayana Johnson and Kalyani Ellis, an uncle-niece duo who are leading the fort of this country's best electronic producers right now. Fans of Mount Kimbie and Flume will gravitate to Alchemy fast. Willow Beats definitely have something beyond a magic touch. This is complex, spectral electronica at its best. AUSTRIA: Walzerkönig Francis International Airport - The Right Ones It is no overstatement to say that Francis International Airport are Austria's most relevant band with an international appeal. With their 2010 album In The Woods, they took the local indie community by storm and made quite an impression at festivals such as Eurosonic and Primavera. Three years later, additional e-drums and synths contribute to the more electronic sound of its equally great successor Cache. BRAZIL: Meio Desligado Bambas Dois - World Cry Bambas Dois, the project created by musical producer BiD (who has worked with artists such as Nação Zumbi and Seu Jorge), reunites a great ensemble to experiment with a mix of Brazilian and Jamaican sounds. CANADA: Quick Before It Melts Lake Names - The Ostrich If their first EP, 2011's Echo, was "music to make breakfast to" then Lake Names' latest release is the soundtrack to a picnic lunch on the beach. The Nova Scotia band's Folly EP tastes like salt water spray and sunshine, and makes me long for a fix of vitamin D. My favourite so far is The Ostrich, but you can't go wrong with any of these four songs of sparkling reverby pop, available as a free download from Bandcamp. CHILE: Super 45 Cadenasso - La Puerta Filipe Cadenasso, frontman of established independent band Matorral, started his parallel solo career a few years ago. He moves away from Matorral's rock sound to show a quieter and intimate side. Un Ejercicio is Cadenasso's second studio album, and it sounds like we were with him in the same studio. First single La Puetra, with vocals from Bernadita Martinez, manages to give a sense of closure at times. COLOMBIA: El Parlante Amarillo Globos De Aire - El Mar Es Nuestro Juan Carlos Torres is the driving force behind Bogotá's Globos De Aire, whose music has elements of shoegaze, post-rock and electronica. This year they released their second album El Día y La Noche ("Day And Night"), a concept record based on duality. El Mar Es Nuestro is taken from the disc's Day side. CUBA: suenacubano.com Qva Libre - 2012 An exquisite fusion to which no one can resist dancing. Witty lyrics that speak of the enjoyment of life and the intensity with which we live every second because we never know when it will end. Qva Libre focus on mixing genres such as funk, reggae, rock and hip hop to the rhythm of Cuban music. They have a very distinctive visual style and energetic stage projection. DENMARK: All Scandinavian The New Spring - Final Day The New Spring, aka singer-songwriter Bastian Kallesøe, will release his second album Secret Armor in Europe and Japan on April 29. First single Who Do You Love? has been out for a while and here's the MAP exclusive Final Day, three minutes of the Dane's beautiful songwriting that is sure to move. DOMINICAN REPUBLIC: La Casetera Belachao - Sábanas Blancas Belachao is an acoustic/folk band that just released their first album. Sábanas Blancas is a sample of how elegant their tunes can be, taking you back to simpler times where we could fall in love with our significant other with just a guitar and their voice. ECUADOR: Plan Arteria Alkaloides - Ella Viene Del Futuro Alkaloides is a space-punk-garage band from the independent music scene of Quito. Their first single, Ella Viene Del Futuro, is a warm piece of music that invites you to dance wildly to the rhythm of the beats. The band has been honing their sound for four years and recently participated in a contest to create a short film about the region's independent music scene for the Sundance London film and music festival. ENGLAND: The Guardian Music Blog Tiny Dancer - Who Am I? Tiny Dancer is an 18-year-old from Sheffield who sounds as though she has been beamed in from 1978 - her voice is quirky, hiccupy, like Gwen Stefani doing an impression of Lene Lovich doing an impression of Kate Bush. Her song Who Am I? is catchy indie-pop with world music elements that could equally be chanted by schoolkids, footie fans and tribespeople from far-flung continents. The fact that she has Wayne Wilkins - who has written and produced hits for Beyoncé, Cheryl Cole, Natasha Bedingfield and Jordin Sparks - on her side augurs very well indeed. ESTONIA: Rada7.ee Winny Puhh - Meiecundimees Üks Korsakov Läks Eile Lätti Swallow your coffee before listening. And especially before watching this video. This is Winny Puhh, a highly theatrical Seto punk band, performing their song Meiecundimees Üks Korsakov Läks Eile Lätti on Eesti Laul 2013, the semi-finals for the Estonian slot in the Eurovision Song Contest. Although they weren't selected, something tells me they're going to be THE band that everyone remembers this year. FINLAND: Glue Black Lizard - Love Is A Lie Psychedelic, hypnotic, raw, fuzz, proto-punk, noise, primitive... those are the words being used to describe Black Lizard's music. Mentored by Anton Newcombe of The Brian Jonestown Massacre, Black Lizard have just released their debut album and it is a fantastic work of contemporary psych-rock. Love Is A Lie is its first single. 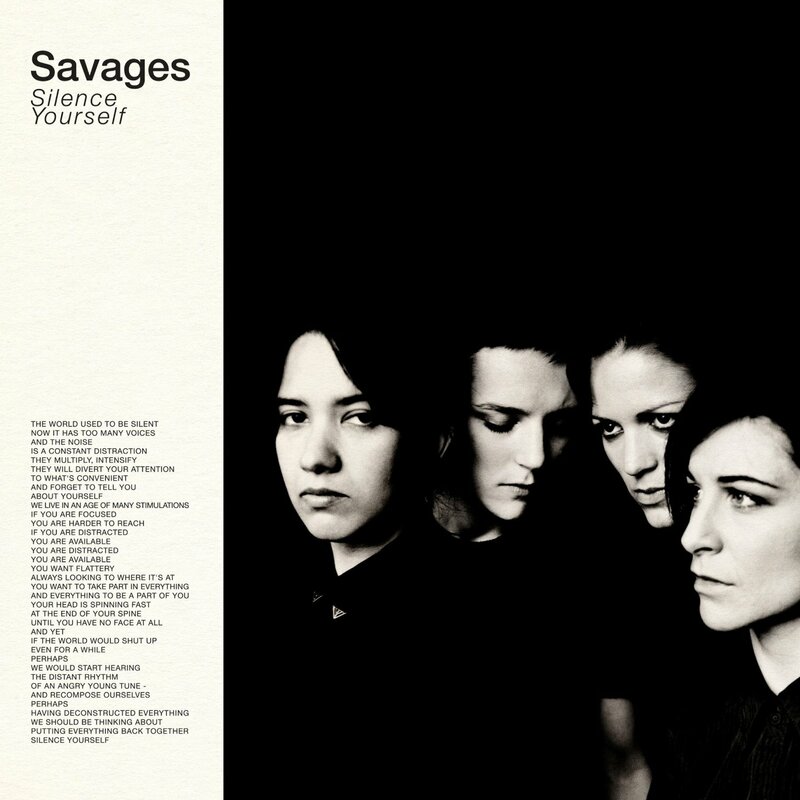 FRANCE: Yet You're Fired Hyphen Hyphen - Baby Baby Sweet Sweet Hyphen Hyphen is Santa, Line, Puss and Zak - four 21-year-old rock'n'roll magicians who draw diverse influences, from Phoenix to Klaxons, from Late Of The Pier to Metronomy. Known for their incredible energy which has bewitched many venues throughout France (100+ shows last year), they're the latest electro-pop buzz band in the country, and one you don't want to miss. GERMANY: Coltran Dobré - Caramel Sometimes, if you don't hear an artist for three years they tend to be gone. Dobré, who were first featured in MAP in December 2009, are now based in London. They have changed their musical approach a bit, with the addition of more electronics. But they still have the classy vocals, grungy guitars and modern electronic soundscaping. Good job growing up, Dobré! INDIA: NH7 Frame/Frame - Rogue Frame/Frame is Nikhil Kaul, a producer from New Delhi. Kaul's songs cover a wide soundscape of electronic music (synth-driven tech to sample-laden post-dubstep) and he is a fine example of the current crop of electronic producers mushrooming in bedrooms across the country. INDONESIA: Deathrockstar Afternoon Talk - Island Bandar Lampung band Afternoon Talk make beautiful music recorded in their bedroom. While most bands in the city play cheesy pop, Osa, Sofia and Ridwan write even cheesier love songs in English but with much better music arrangements. Check out their free self-titled EP. IRELAND: Harmless Noise Lumigraph - Tampa Awaits Although Ireland's electronic music scene is always busy with the assorted output of its many artists, Lumigraph is the most interesting new name to emerge in 2013. Appearing seemingly from nowhere with a few tantalising clips, the quality on display suggests intense levels of experimental deliberation prevented this individual from releasing anything that sounded amateur. The result is expansive, progressive construction, as heard in Tampa Awaits, an attractive and engrossing genre-blurred track straddling the divide between house and techno. The full album, Nautically Inclined, is out now on Opal Tapes. ITALY: Polaroid The Clever Square - February Is A Lie Classic indie-rock inspired by Guided By Voices, Pavement, The Lemonheads, Neutral Milk Hotel and Dinosaur Jr. You think it's obvious and predictable? I just wish we had more young kids with taste, talent and passion like this down here in Italy. JAPAN: Make Believe Melodies CRUNCH - Mori No Naka Nagoya rock outfit CRUNCH write on their SoundCloud page that new song Mori No Naka is inspired by the Radiohead track Jigsaw Falling Into Place. The influence can definitely be heard in the driving tempo of the song, but CRUNCH add in plenty of personal touches to make it all their own. Check out the vocals, delivered in a more relaxed manner before they pick up ever so slightly in intensity come the chorus. Plus, the imagery of the lyrics (translated via the artist link) are fantastical. MALTA: Stagedive Malta Cygna - Little Wooden People By creating organic atmospheres, Cygna's music warms spaces with its sound journeys. Cygna manages to be simultaneously innovative, experimental and conservative - and the result is a multi-layered mix of real ethnic, classical instruments and electronics that bear indisputable connections to the ambient and progressive music pioneers of the 70s. Little Wooden People is taken from his debut album Opus Eva. MEXICO: Red Bull Panamérika Martin Thulin - Glued To The Chair Martin Thulin's story is quite peculiar: a Swede who has being living in Mexico City for the past 19 years; forms a post-punk band called Los Fancy Free that sets ablaze the local scene with his ironic twists and bare-chested stage divings; after four albums Los Fancy Free go into hiatus and Martin takes time to delve into his psyche; titles his first solo effort I Rather Be Transparent Than A Shadow In The Dark, a work conceived with a structure similar to David Bowie's Heroes. NETHERLANDS: Subbacultcha! Vakantie - Schaafijs Sharing the same breeding grounds as Earth Control, Dutch duo Vakantie have slowly emerged out of the art academy scene with their electronic noodling and keen sense for making improvised beats that'll put a smile on the face of the toughest of crowds. With their new Samling double CD release Fotonen, it's clear these guys are as versatile as they are productive. Hypnotic mantras of synthesizer sounds ranging from subdued soundscapes to meditative forms of gabber, Vakantie's music is what you might expect to hear if you put Mouse On Mars and Black Dice together in a studio on some tropical island. Sometimes challenging but always fun. PERU: SoTB Oscilador - Colisión Oscilador are a three-piece from Lima formed by singer/guitarist Alonso Regalado, drummer Marco Castillo and bassist Adrian Ortiz. The band have been making music for a long time, but only this year released their debut album Los Ultimos, available for free download from Bandcamp. It's a masterful example of indie-rock containing exciting songs such as Colisión. POLAND: Łukasz Kuśmierz Weblog Ifi Ude - ArkTika It's hard to find a better place than MAP to introduce half-Polish, half-Nigerian singer-songwriter Ifi Ude, whose songs combine electronic beats with Polish folklore and African energy. Stunning track ArkTika is the third single from her debut album, which she's currently finishing. PORTUGAL: Posso Ouvir Um Disco? Plaza - High On Stereo Plaza are Quico Serrano and brothers Paulo and Simão Praça. They have been together since 2003 and their sound will please fans of intelligent electro-pop. Pop song High On Stereo, the introductory single to their 2013 album, could be an enormous hit anywhere in the world. The video was directed by João Rei Lima. PUERTO RICO: Puerto Rico Indie Recluso - Praseodimio Puerto Rico's great masked hope, Recluso, is one of the most prolific figures in the island's hip hop underground. Known for short songs with precise rhymes - as well keeping his true identity secret, hidden behind a black 'luchador' mask - the MC began concentrating on his beat production on last year's Tabla Periódica Vol. 1. The instrumental project matched elements of the periodic table to smartly produced and memorable beats. Praseodimio is one of our favorite cuts from Tabla Periódica Vol. 2, which drops later this month. ROMANIA: Babylon Noise Rubik's Cube - Over The Mountain Rubik's Cube are a rock trio based in Timisoara. Even if the melodies are reminiscent of Blur, they experiment with the basic pop-rock song structure, transforming and evolving it in creative ways. It is like experiencing pop through a kaleidoscope. RUSSIA: Big Echo On-The-Go - Deception Dreamy indie-pop band On-The-Go has already stormed Russia with their album November, which will get a worldwide release later this year. They remind me of Swedish and Danish pop groups as well as Wild Beasts. Yura Makarychev's melodic songwriting is full of charm - I guess that's the kindest Russian export in years. SCOTLAND: The Pop Cop Father Sculptor - Sault Every article written about Father Sculptor has mentioned their eerie similarity to The Smiths. While the evidence is irrefutable, it would be travesty if it overshadowed the Glasgow band's many atypical traits. Father Sculptor manage to be highly prolific in their output without sacrificing quality control. They strike the perfect balance of being wilfully mysterious but approachable thanks to a laudable DIY ethic. They've just released their potentially fame-making Faith & Violence EP but previous release VI, a compilation of their 2012 singles, is every bit as essential. SOUTH KOREA: Korean Indie Rainbow99 - Walk Rainbow99 is perhaps best known through his work as a producer and music director, but followers of MAP will have already heard him as the atmosphere maker of SiwaRainbow. In late March he released his aptly-titled second solo album Dream Pop, treating listeners to plenty of dreamy electronica. Walk is a bright tune, a perfect soundtrack to a sunny spring day. SPAIN: Musikorner Jose Luis Algar - Dame Jose Luis Algar is a 23-year-old singer-songwriter from Barcelona. After releasing a self-produced demo, recorded in his room, he is now ready to bring out his first LP with Music Bus, his new label. 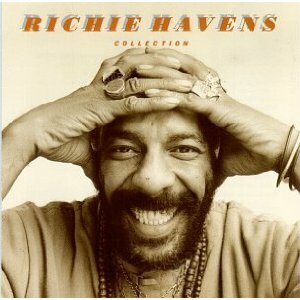 He sings about love and tries to keep it simple and beautiful. SWEDEN: Ja Ja Ja Tiger Forest Cat - Everybody's Running Tiger Forest Cat is the promising dream-pop project of Filip Sundberg from seven-piece pop/rock group Syket (also well worth checking out). Over the past two years, in between gigs and studio sessions with his main hang, he has been writing and recording his debut album, Affairs Of The Heart. Everybody's Running, out now via Nomethod Records, is its first and very beautiful single. TURKEY: WEARTBEAT Sami Baha - Swan Sami Baha is one of the most creative and inspirational producers in Istanbul's electronic music scene. When he's making his music, he feeds on disco and R&B rhythms of Dirty South. After mind-blowing shows and countless releases, we're finally about to hear his debut record soon. UNITED STATES: We Listen For You Radical Dads - Mountain Town New York's Radical Dads pack their tracks with blistering guitars, drums that feel like they're about to break and a female vocalist with the talent to soar above the aggressive backing melodies. Mountain Town is one of the best pure rock songs of the year and proves that music about to fly off the handle can also be highly intelligent. VENEZUELA: Música y Más Americania - Estoy Afuera, Sal Americania have just released their second studio album La Fiesta Del Rey Drama, which can be downloaded for free from their website. The promo single Estoy Afuera, Sal tells the surreal story of a house that won't let out one of the band members to meet his girlfriend. Its video had more than 20,000 views on YouTube in its first week.